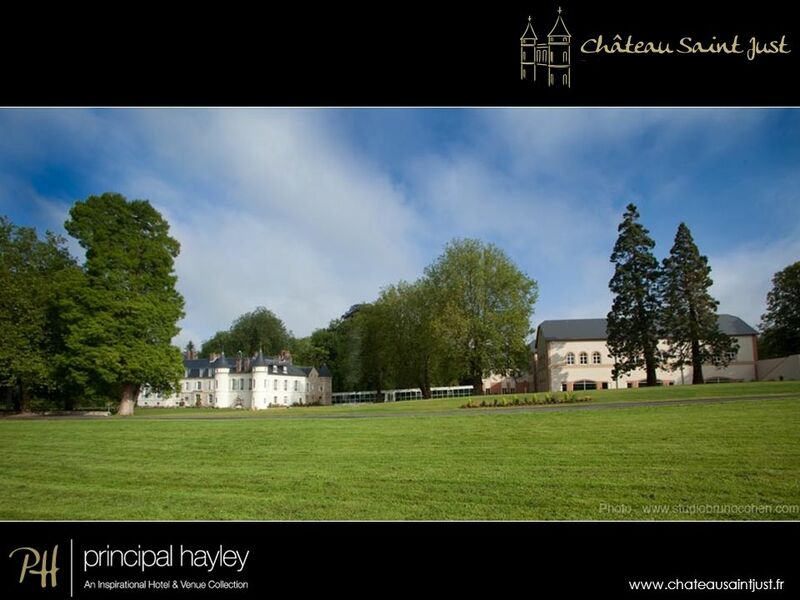 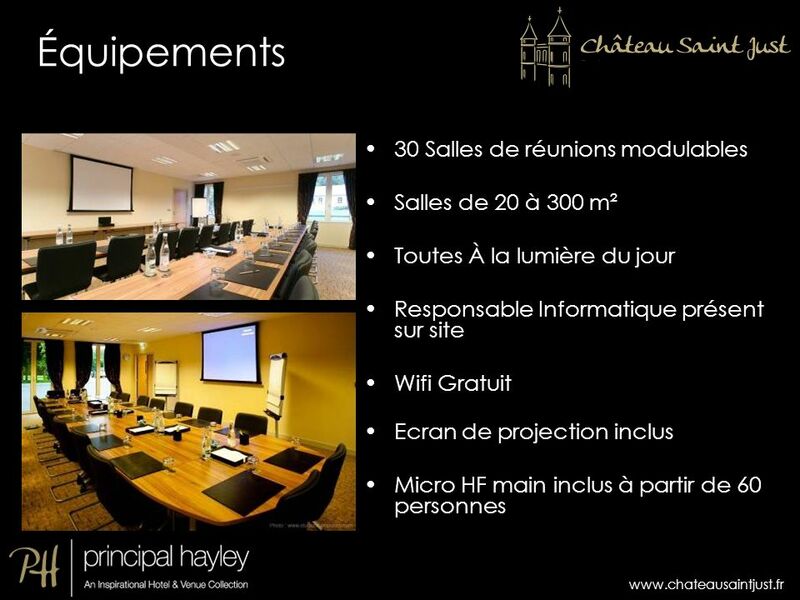 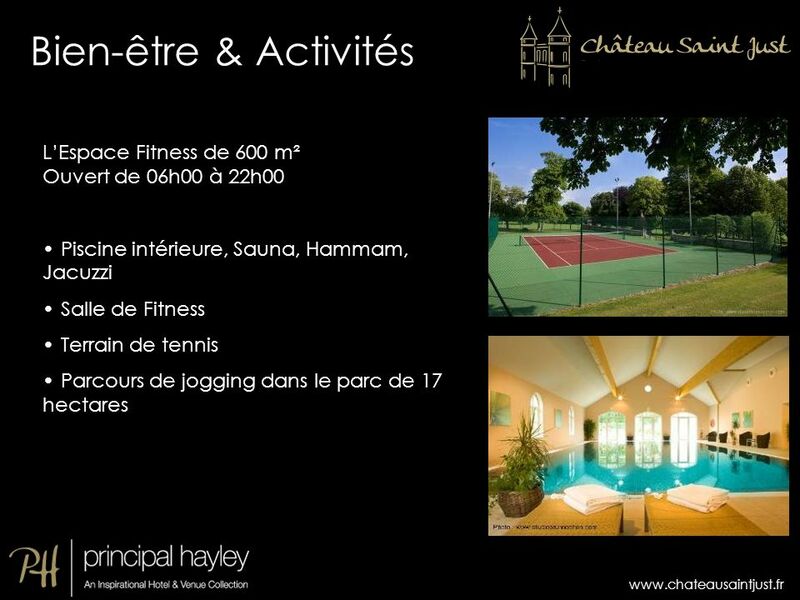 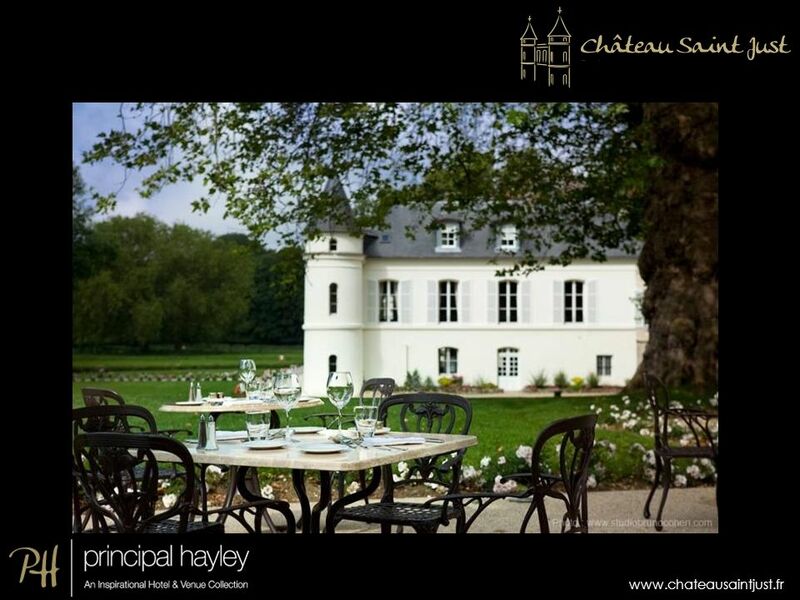 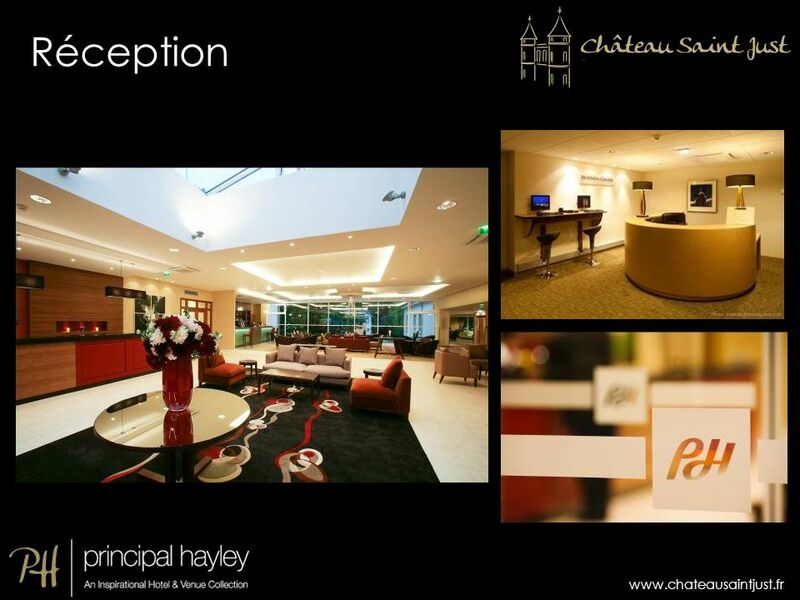 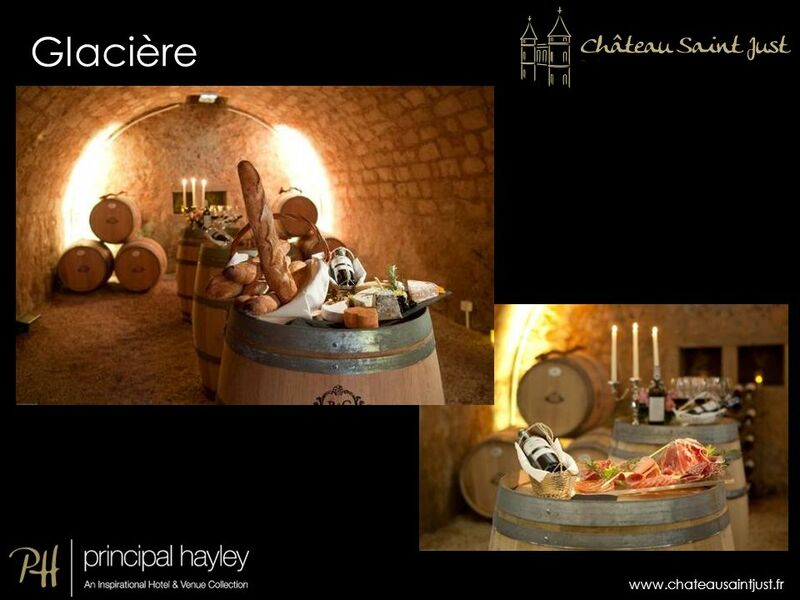 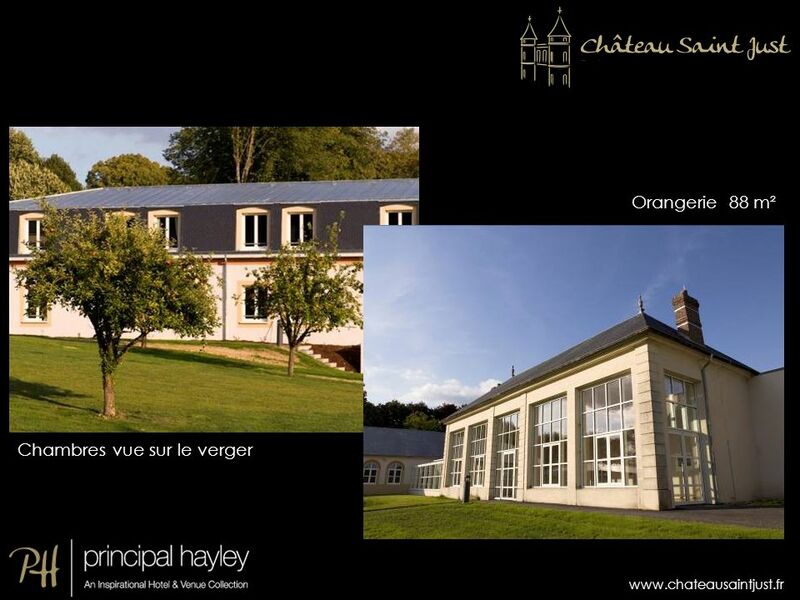 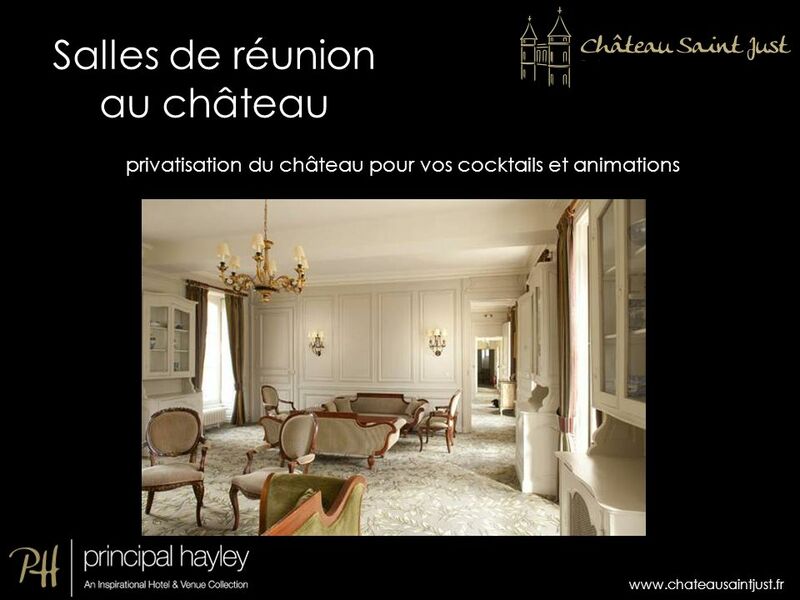 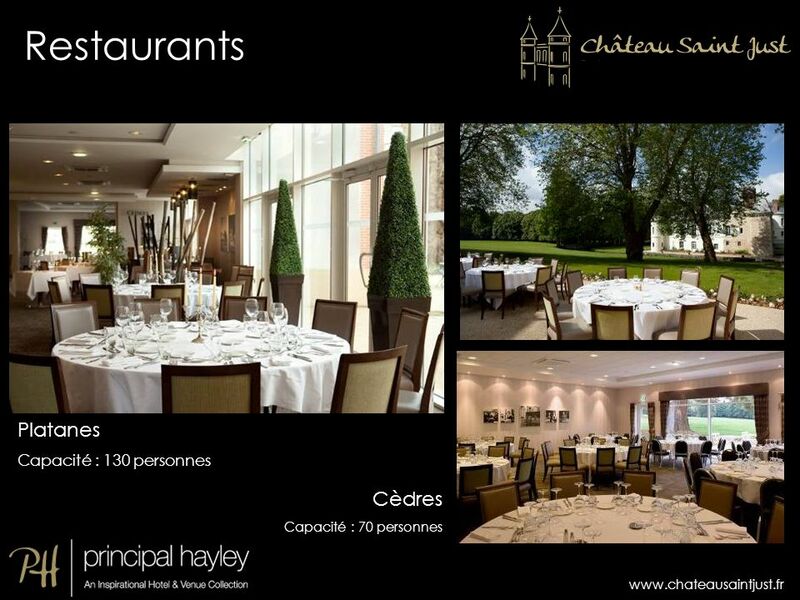 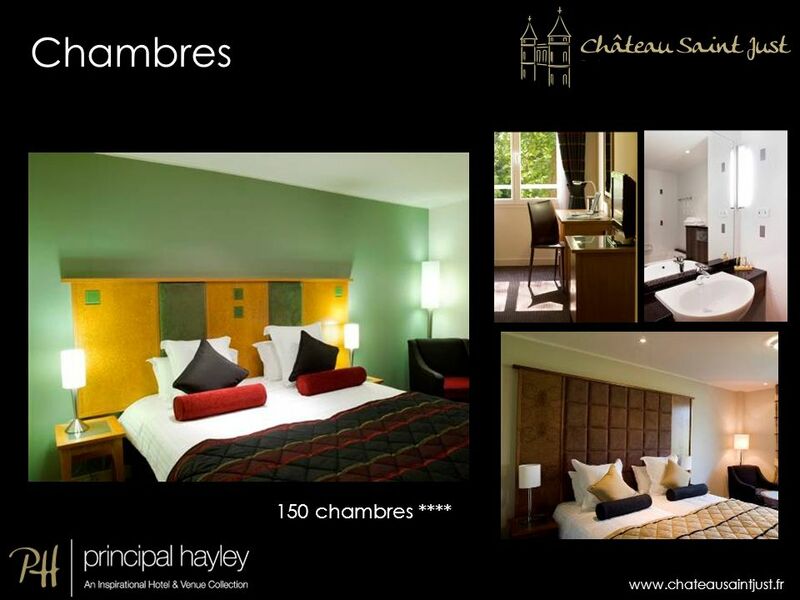 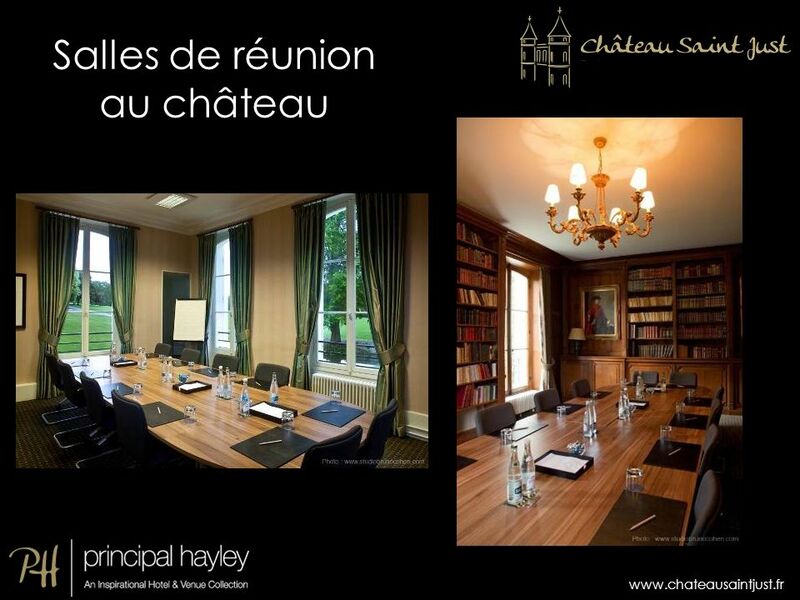 Château Saint Just 1er Hôtel & Centre de conférence En France du groupe Principal Hayley Château Saint Just offers 30 flexible meeting rooms and lounges flooded with natural light and equipped with the latest technology. 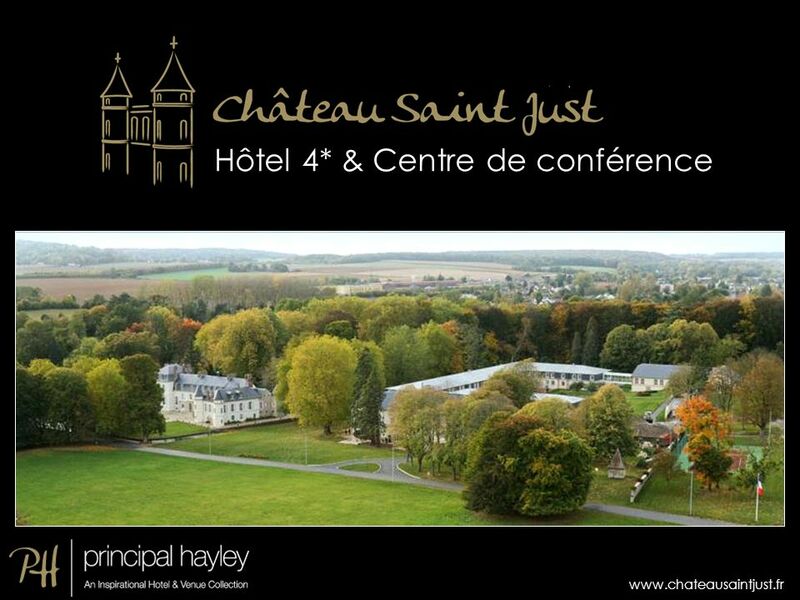 A great deal of work has gone into developing Saint Just involving an investment of 30 million € A total floor aea of over sq ft has either been converted or newly built. 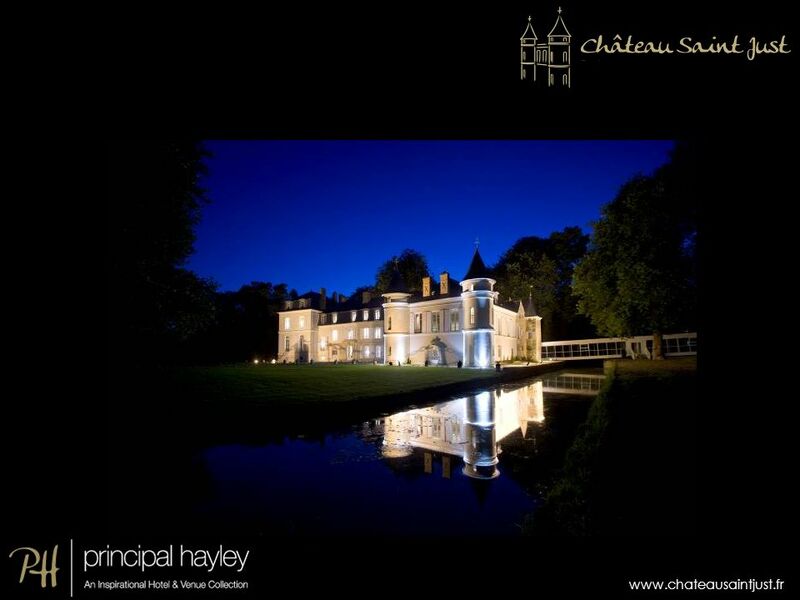 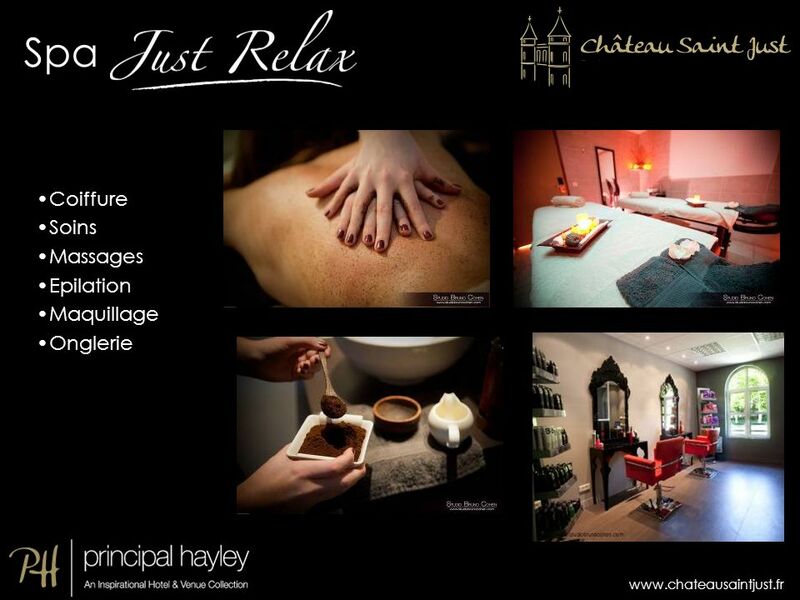 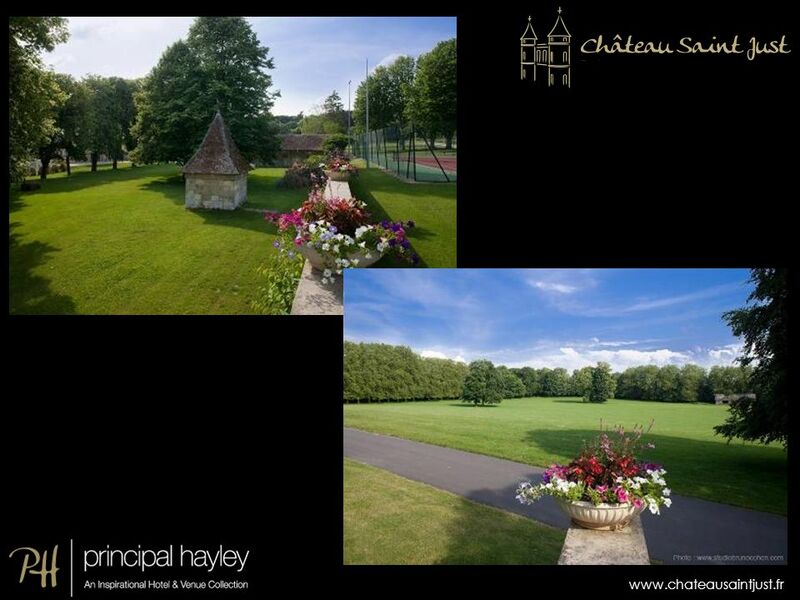 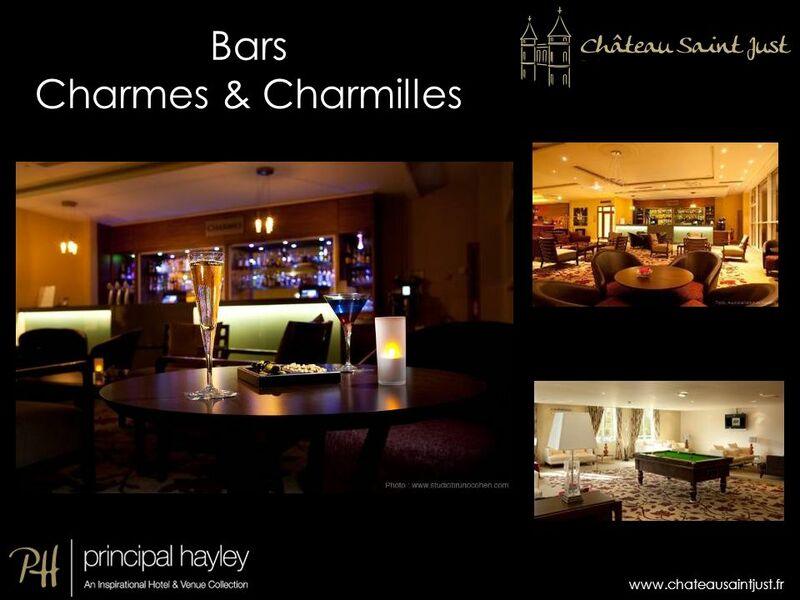 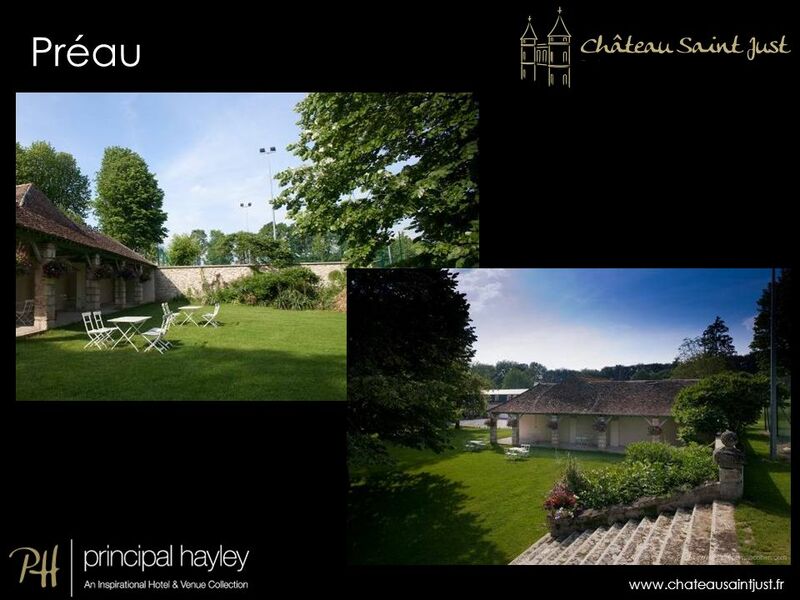 newly built extensions have been added to create an exceptional tranquil venue. 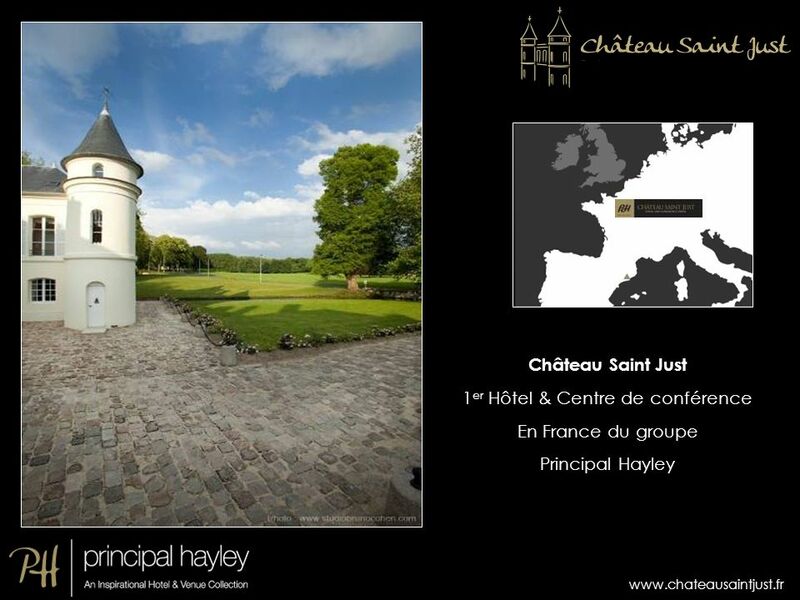 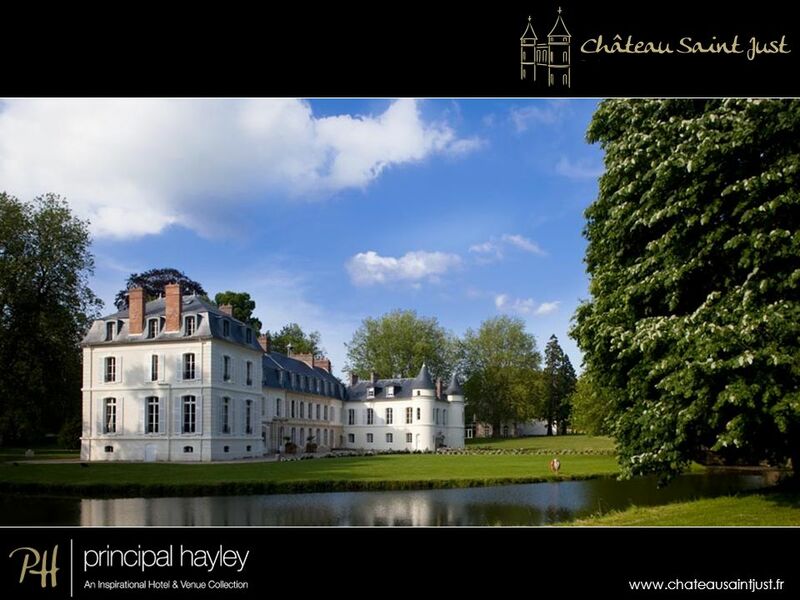 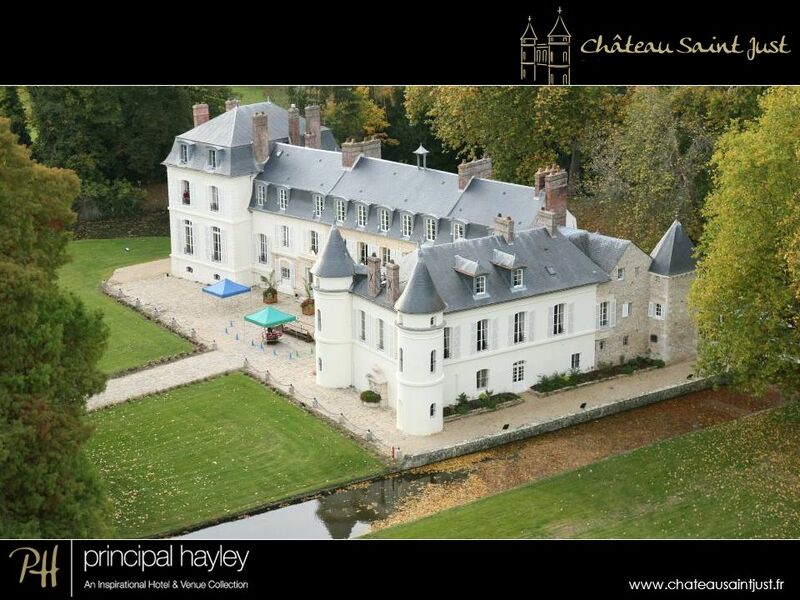 An elegant glass walkway over the moat, links the château with the new buildings, providing a transition from past to present. 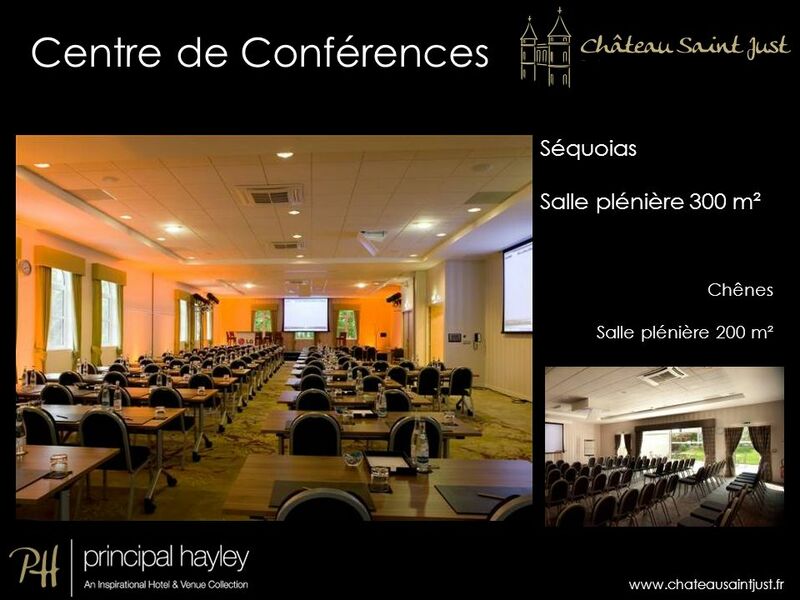 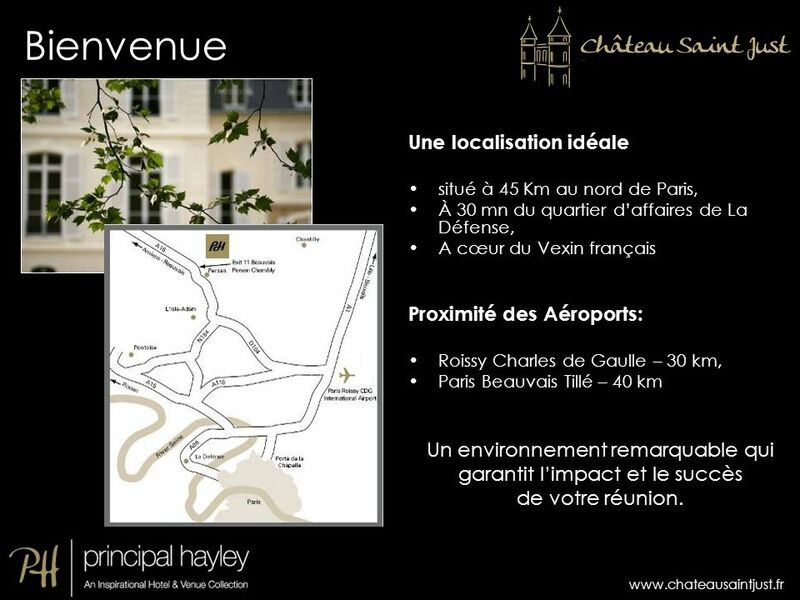 Télécharger ppt "Hôtel 4* & Centre de conférence"
Destination Lyon Toujours conserver un espace minimum à gauche (limite des carrés en haut à gauche) pour une éventuelle reliure. 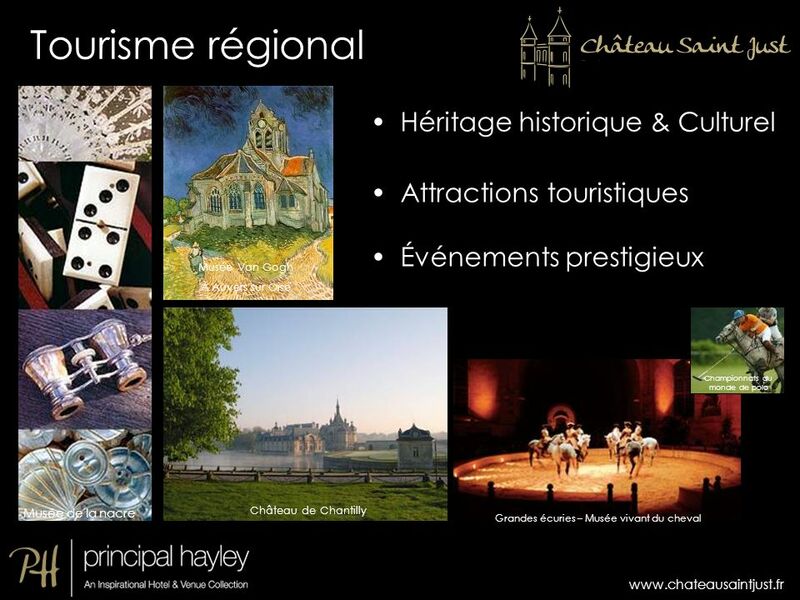 Le titre est Verdana 24pt.